Looking to equal or beat Apple in the aftermath of its iPhone battery apology, iFixit has dropped the price of its do-it-yourself battery swap kits to $29 or less. More significantly this includes kits for the iPhone 4S, 5, 5s, and 5c, which are excluded from Apple's discounted battery replacements. 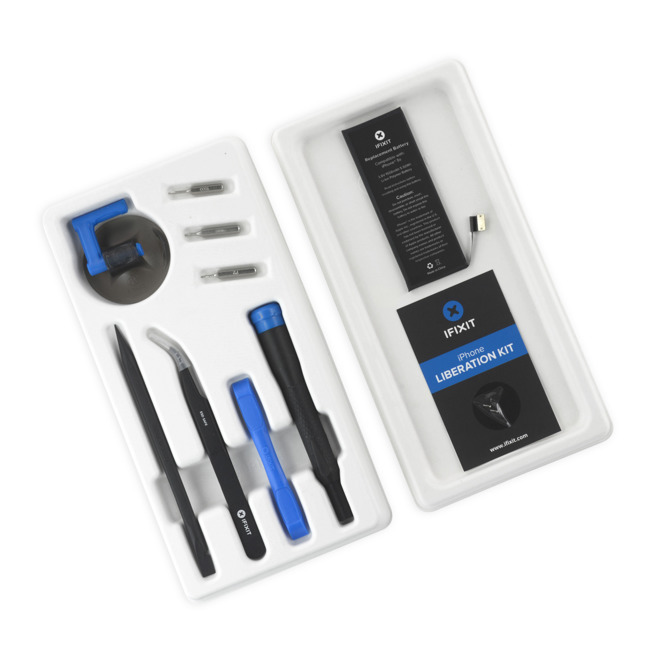 Each iFixit kit includes a battery with a one-year warranty, and all the necessary tools, such as a driver, steel bits, and tweezers. Prices range from $29 for the iPhone 7/7 Plus down to $16.99 for the iPhone 4S. On Thursday, Apple issued an apology for its recently-revealed practice of throttling older iPhones with degraded batteries. From January hrough Dec. 2018 the company is dropping the price of out-of-warranty battery replacements from $79 to $29, but only for people with an iPhone 6 or later. It's also planning an iOS update for early 2018, which should let people check whether the state of their battery is triggering low performance. Apple is facing 15 lawsuits in the U.S. and abroad over its throttling practices, as well as a government probe in South Korea. A common claim in the lawsuits is that whether or not it was intentional on Apple's part, the slowdowns prompted people to buy newer iPhones. The most serious legal case is being pursued in France, where planned obsolescence is not just unpopular but illegal. In theory some Apple executives could serve prison time, though penalty options also include fines.